Last night I gave an impromptu talk on a special astrological combination that is forming in the sky now and is affecting everyone in the world. This combination, called “Guru Chandala yoga,” occurs when Rahu, the north node of the moon, and Jupiter are in or enter the same sign. Jupiter is Guru: wisdom, big View, clarity, generosity, friendliness and beneficence. 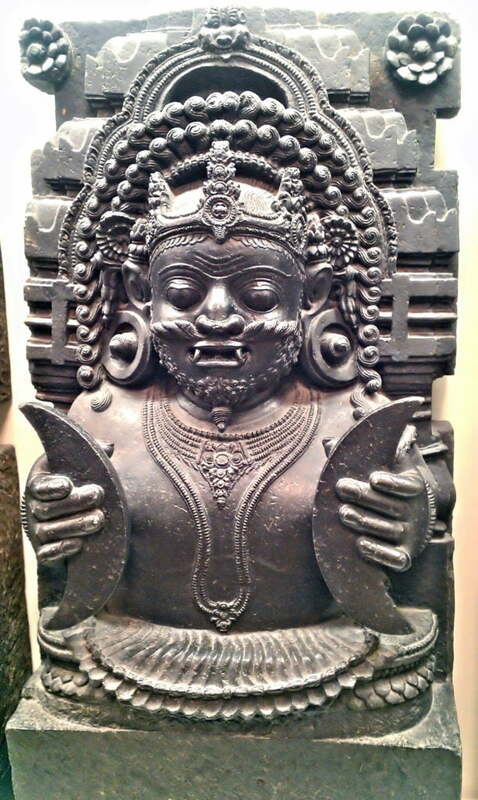 Rahu is the thief – the shadowy north node of the moon who can indicate when greater confusion, mental instability and compulsion will enter into our lives. When these two get together, there is a tug of war between light and shadow. Guru Chandala yoga is particularly associated with making poor decisions due to unclarity, with a kind of brash rebellion against one’s better wisdom and with turning away from one’s chosen spiritual path. It can also be associated with ordinary lawlessness on a personal or group level and with less-than-sane social-political upheaval. Jupiter entered Leo last July. Rahu is currently in the sandhi; he is transiting the last degree of Virgo on his way to join Jupiter in Leo. By early in the morning on January 9th, Rahu will be in Leo, and Guru Chandala Yoga will be fully formed. Guru Chandala yoga affects everyone differently depending on other factors in your astrology chart. At its best, this transit might usher in a period of greater material and career success, but you also might be somewhat tempted to back burner your spiritual life in order to grab onto ordinary increase. Or you might feel the occasional pointless upsurge of rebellion against what your heart knows is best. Under certain circumstances, you might find yourself more tempted by the compulsions you already have, especially if these involve smoking tobacco or intoxicants. In the worst case, you might find yourself being swept along (away from wisdom) by karmic forces that you can’t seem to control. The best way to relate to this transit is to try to remain wide awake and unaffected even while the drug (Rahu) is coursing through your veins. In other words, when we are in most danger of being distracted by karmic compulsion, we have the opportunity to make a powerful choice to adhere even more strongly to wisdom. This enhances our capacity more than when clarity comes easily to us. It is just like dream yoga, or like doing practice when you are in the midst of ordinary life. Try to use the transit to stick to your practice, to your own wisdom and to walk the path of expressing your intrinsic virtue even more strongly and with more determination. However well you succeed at this, you will have the consolation of knowing that the transit ends on August 11, 2016, a mere six and a half months from now.